Here be the posts about the good, the bad, and the ugly experiences with games, mostly online and free. I recap free online video games as well as gush over Warcraft in non-video game recaps, but I’ve never really done an actual video game review…UNTIL TODAY. Today we are going to review Oxenfree by Night School Studio. So, it’s been a bit of a ghost town considering grad school and poor time management. Seeing as I’m on winter break, I finally have time to play Warcraft, catch up on my fan fiction, and make you all experience the hell that is free online Frozen video games. Let’s start with Elsa Resurrection Emergency. NO. NO NO WHO LET THE SNOWMAN IN SOUTHERN CALIFORNIA. Much better. 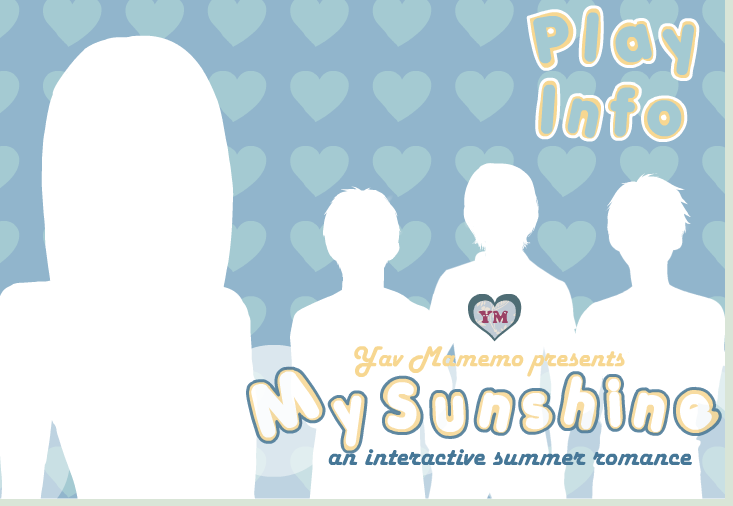 Now that it’s almost summer, let me introduce you to one of my favorite free summer-themed otome games: My Sunshine! For the billions of you out there that for some reason actually like Disney’s Frozen and will probably go see Cinderella just so you can see the Frozen short, you’ll probably enjoy this. Congratulations, Elsa’s having a baby girl! This has got to be one of the strangest baby games I’ve ever played. It’s this weird mesh between trying to be medically accurate but at the same time manages to be wildly inaccurate because it’s a game based off a Disney movie. That and I can’t believe Elsa made a maternity version of her “I’m going to be the Queen of Forever Alone” gown. 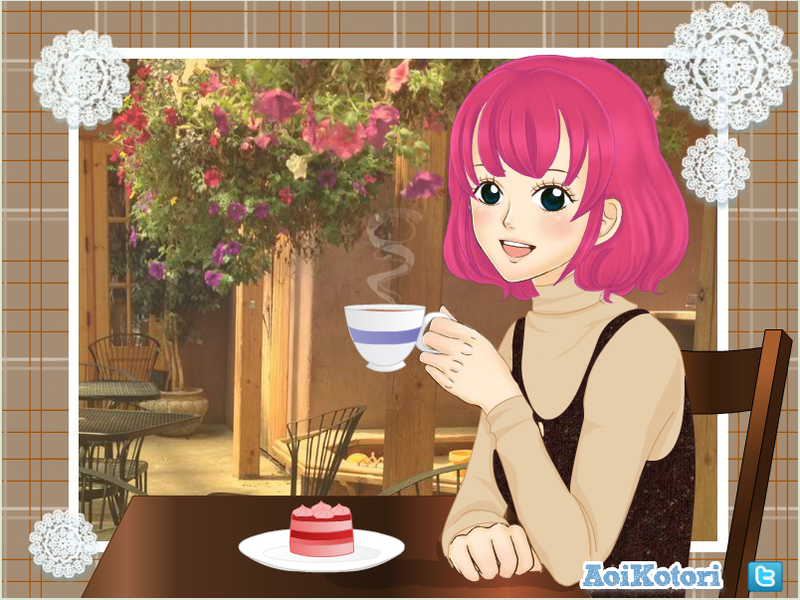 We start off with the story, which is in the summary and not the game itself. Elsa’s expecting and hasn’t been feeling too well as of late. She invites a famous doctor to check on her clo–I mean fetus. You, the player who is assumed to be female, are not this famous doctor, but rather the nurse that helps the famous doctor. Irritating sexism aside, time for your routine check-up, Elsa! I see that Elsa 2.0 is ready to be dispatched, doctor! After we check up on Elsa’s heart beat and temperature, it’s baby time! I’m not sure what medical purpose a stork serves, though. Oh I see, it’s to magically explain away science! 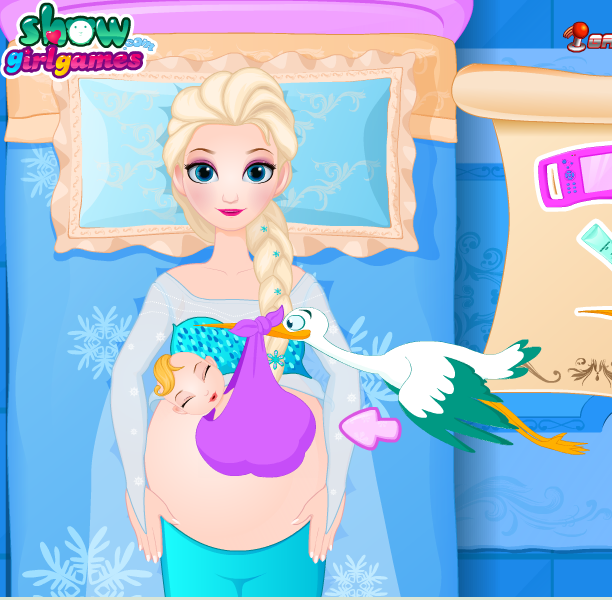 Somehow this baby teleports out of Elsa’s uterus so that a stork could carry her back to be plopped on Elsa’s flattened stomach. 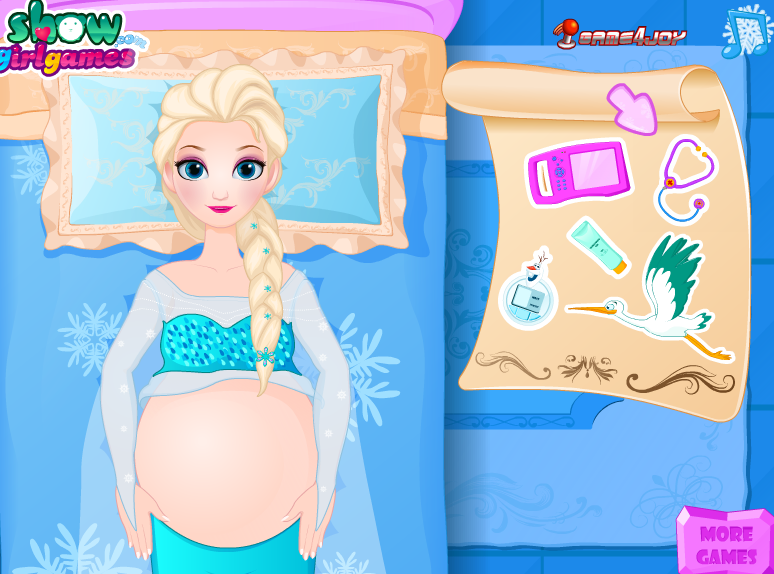 It would have been more realistic if a head of cabbage bloomed out of Elsa’s vag and a baby fell out from the leaves. Oh well, what’s the little tyke look like? I’m just gonna leave it at that with a link so you can wash and dress Elsa’s bundle of joy yourself. Happy Gaming!